The "Green city of the future – climate-resilient districts in a growing city", sponsored by the Federal Research Ministry (Bundesforschungsministerium), is a joint project of four research institutions and the planning and environmental departments of the Bavarian state capital Munich. The project partners met on 6 November 2018 for the kick-off meeting in Munich’s Oskar-von-Miller forum. Especially in rapidly growing cities such as Munich, the increasing demand for residential and commercial space competes with green and open spaces, which are absolutely necessary for climate-resilient urban development. Therefore – despite increasing pressure on residential space – the functions of green structures should be secured and strengthened for climate orientation. 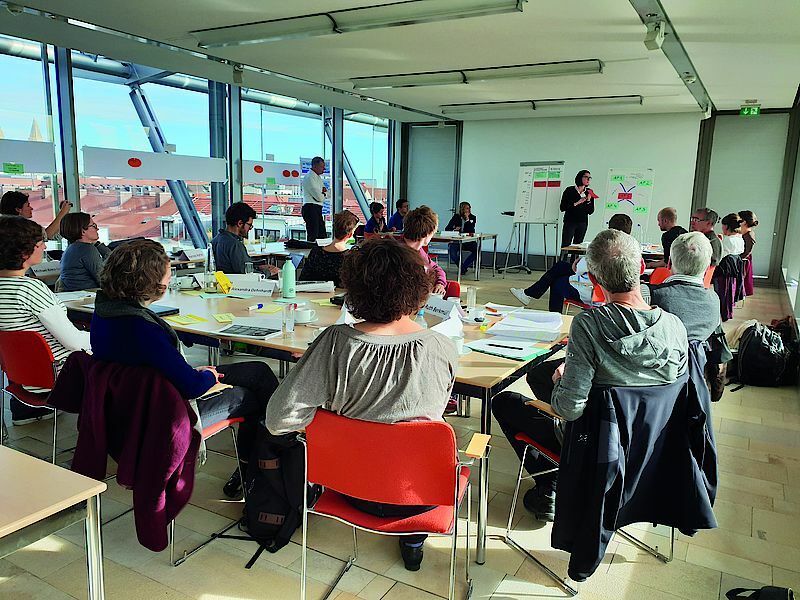 The bifa Umweltinstitut is working together with its project partners on the development and implementation of integrative solutions, in order to minimise conflicting objectives and to point out synergies. In addition to balancing climate regulation through green infrastructure and energy efficiency, participative methods are also used. The latter are used to analyse increasing demand for residential space on the one hand and on the other hand, different requirements (access, accessibility and quality of green spaces) of the interest groups in the districts of Munich considered in this project. In this way the issue of the compatibility of space required for green infrastructure and residential space can also be answered from a planning and social science perspective, with the objective of developing joint solutions.